Richard Wright is Regents' Professor of Criminal Justice and Criminology in the Andrew Young School of Policy Studies at Georgia State University. Prior to joining Georgia State, he worked at the University of Missouri-St. Louis. He has been studying active urban street criminals, especially residential burglars, armed robbers, carjackers, and drug dealers for a quarter of a century. 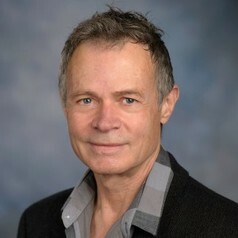 He is the author or co-author of six books and more than seventy five scholarly articles and book chapters, including Armed Robbers in Action and Burglars on the Job, which won the 1994-95 Outstanding Scholarship in Crime and Delinquency Award from the Society for the Study of Social Problems. He also is co-editor of The Sage Handbook of Fieldwork. In addition, he has written widely for the popular press, locally, nationally, and internationally. He has appeared on numerous nationally broadcast TV news programs in the US and Great Britain, and he has been interviewed twice on NPR’s Fresh Air with Terry Gross. His research has been funded by the National Science Foundation, National Institute of Justice, Harry Frank Guggenheim Foundation, Icelandic Research Council, National Consortium on Violence Research, and Irish Research Council for the Humanities and Social Sciences. His most recent book, co-authored with Scott Jacques, is Code of the Suburb: Inside the World of Young Middle-Class Drug Dealers, which was published by The University of Chicago Press in May, 2015. Currently he is collaborating on research that examines the effect of the declining use of cash on street crime and drug-related deaths. Richard was elected a Fellow of the American Society of Criminology in 2009.